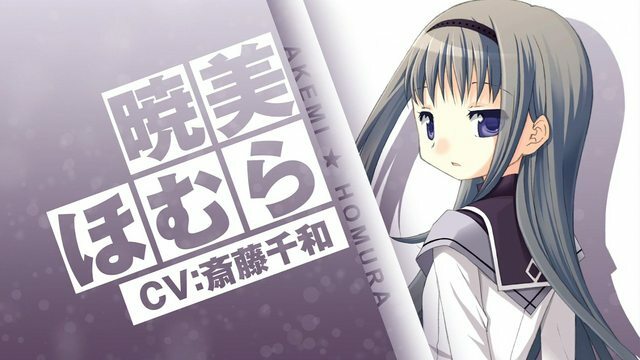 For me, Homura's voice actor will be Satomi Akesaka (most likely), or Ayana Taketatsu. Indeed, thank you for the translation, very kind. Higher height ratio designs than Hidamari Sketch. How come Ume is a sensei and Urobochi is only a san? Thanks for translating the interview. This definitely looks promising. I'm glad he didn't give away anything about the plot. Hmm, the characters do look a bit slender that in Hidamari. It kind of feels like with the design and staff choices, this series is being set up to play on one's heartstrings and waterworks. 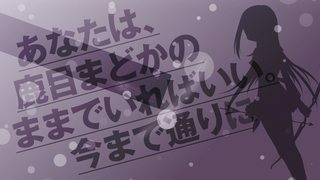 If you like Aoki Ume-sensei's work, check out the ED illustration from ep6 of OreImo, showing the lovelorn meganekko osananajimi who features in that episode. That interview (thanks, sirn) was interesting. I found a small (and safe) example of Aoki-sensei's doujin work here. A taller, slimmer look than Hidamari. She does doujins as "apricot+", it appears. Her blog is here and homepage here. 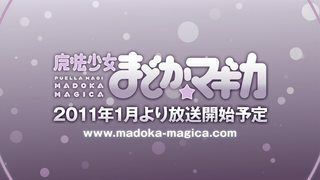 A NEW mahou shoujo?!?! What is this ?! ... I guess the last one hit a dead wall, Heh. This time is a bit long so I decided to host it instead. 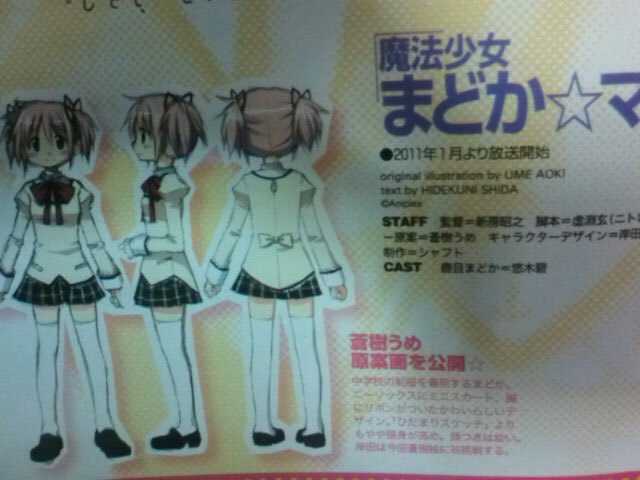 Also, Akemi Homura above is now confirmed. So what's her eye called? Is it similar to Konata's charm eyes? Linking it here so if people have trouble seeing the picture in reference (clicking the link just sent me to google image page) they wouldn't miss this cute image =P. Didn't SHAFT give Konoka Konoe those eyes from time to time during Negima!? Probably because Ume is a manga-ka, while Urobochi only does scripts and scenarios and the like. 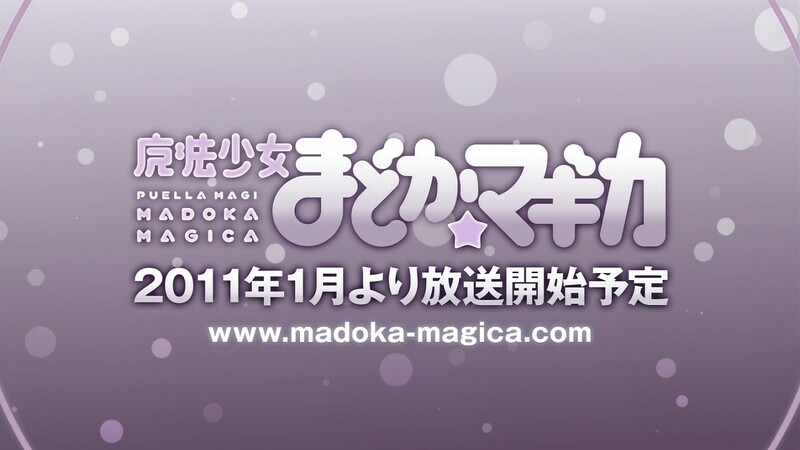 Madoka is going to be an action magical girl series. Quoting Urobuchi Gen: "But nowadays to solve everything by swinging magical stick around no longer works." Scripts are what Urobuchi Gen originally proposed without much change to it. He is very worried if it is really okay, though he's trying really hard in order to make characters cute. "There's a scene in a room surrounding with glasses, we don't know how the reflection will be without actually drawing and composing them; characters are living in a world like that. It might be a story of near future, or far in the future." Last edited by sirn; 2010-11-09 at 09:10. Oh now i'm very interested in this. More information on the setting would be wonderful to have incoming weeks, so i can mentally prepare myself for what this show will offer. They sure did (thanks to the fact that Ichijou and Konoka are voiced by the same seiyuu). Wow, with this in January and Maria in the near future I can't help but feel Kizu being thrown to the back of the bus even though Bake was what got Shaft out of the situation they were in. Well, Kizu could be put off for other reasons, like the fact that Nisio has probably been pretty busy with guiding Katanagatari, and I assume he wants some degree of over site for kizu as well. Otherwise it's shaft being shaft for better or worse . -NT: What provided you a momentum for creating [Mahou Shoujo Madoka☆Magica? Shinbo: Producer Iwakami Atsuhiro from Aniplex first made a proposal for making [Mahou Shoujo] series. Iwakami lent me Urobuchi's novel, [Fate/Zero], and asked me [How about Urobuchi's script and Aoki's Character? ], which left me surprised. 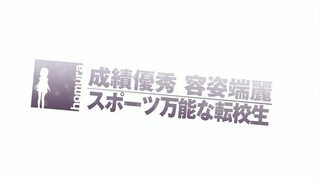 Urobuchi: It was project with talented, excellent members gathered, I was thinking to express things I can do only in this opportunity, without any regret. Although this is the first time writing script for the entire series, right after the first meeting, the plan that I requested just saying [How about this kind of story?] got a 'Go' sign (accepted) without any trouble, and script was also completed without any alteration at the stage of 1st draft. It's even in degree that I was worried whether it is ok to go this smoothly. 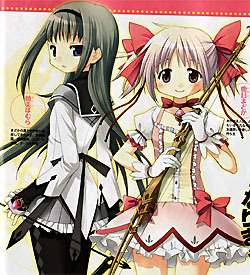 -NT: The theme is [Mahou Shoujo Anction] Genre, so what kind of mahou shoujo will be introduced in [Madoka☆Magica]? 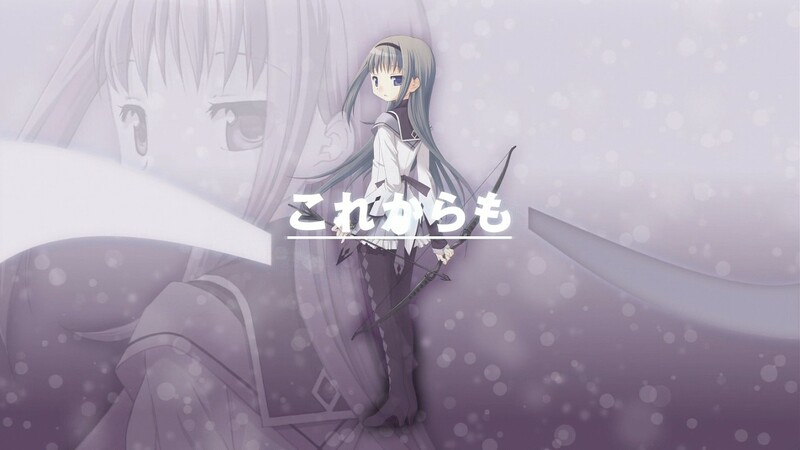 Urobuchi: They are cute girls. I was trying hard to make these girls cute. (laugh) The mahou shoujos I know is the ones who transform into touring guide or adult-looking mahou shoujo etc. 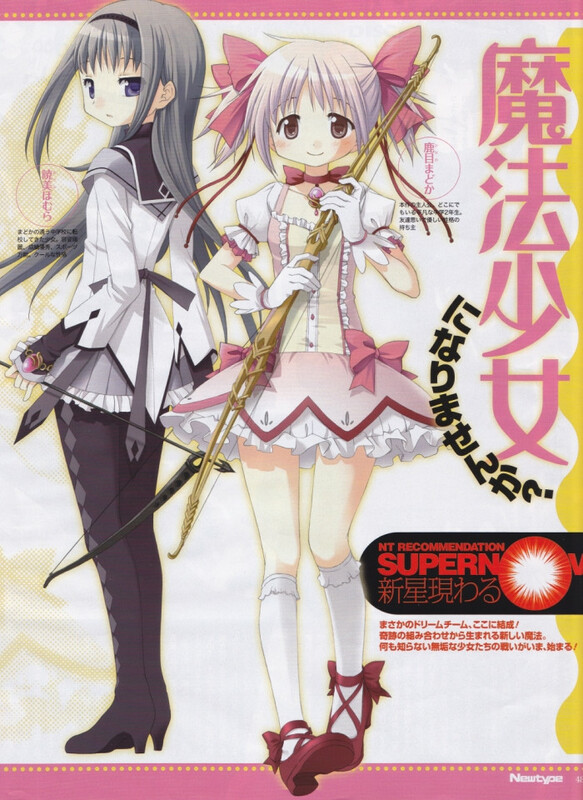 But, it will be problem these days, drawing mahou shoujo who can solve any problem with swinging around the magic staffs. In contrast, if we say [Mahou Shoujo Action] Genre, there are [Mahou Shoujo Lyrical Nanoha] and [Precure series] which performed a meritorious did for mahou shoujo. It is a genre that is already established firmly, so I don't think it is very hard. -NT: What people are anxious about is the direction of the screen, we have a lot of expectation on the fact that it is original SHAFT production. Shinbo: We are yet to know what we will get. (Laugh) For example, there is a scene that mirror is covering entire surface of the wall, we don't know how mirrors will be reflected before actually drawing key frames and take a shot. It is a series about characters living in the world like that. It can be story of 5 minutes or 10 minutes future. Urobuchi: When I heard [We don't know what image we will get], I was also very anticipated. 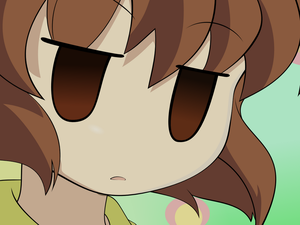 Shinbo does not care about the length of script or the number of scenes. I have been thinking arbitrarily that animation is [Creating theme and script calculating back from the completed image], but you cannot do this reverse operation for SHAFT's production method. It's like stage play; they add fleshes to their work with improvised ad-libs time to time. Shinbo: It is a method that was only possible due to the solidified core of the script and gathering of talented staffs. Believing these staffs, I want to challenge this. Pretty much what sirn said. I will be there to defend it to death. "Beautiful-looking transferred student with excellent grades, great at sports." "Just be Kaname Madoka like you've always been." Last edited by sirn; 2010-11-11 at 13:31.